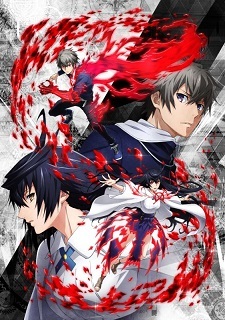 Square Enix revealed a new anime series based on the Lord of Vermilion collectible card game announced at this year's AnimeJapan to commemorate the game's 10-year anniversary this June. The anime adaptation will be titled Lord of Vermilion: Guren no Ou. Developed by Think Garage, the first game in the series was released by Square Enix in June 2008. A sequel followed in October 2009, which spawned Lord of Vermilion Re:2 in July 2011, an upgraded version of the sequel. Square Enix published Lord of Vermilion III in August 2013, and the fourth and latest game in the series, Lord of Vermilion IV, was released in Summer 2017. Dang, I misread that as "Sword of Vermilion." Now that would've been an interesting Anime. Or, an Anime of Falcom's "The Legend of Heroes: A Tear of Vermillion" would also be welcome. I feel like we already had this article. Same. I think we had that before.